Galatea is a name closely associated with Greek mythology, and although most people think of Galatea being the statue brought to life by Aphrodite, the name of Galatea, in antiquity was one solely attributed to a Nereid nymph. The Nereids were the 50 sea nymph daughters of Nereus, the ancient sea god, and his wife, the Oceanid Doris. Amongst the sisters to Galatea were the likes of Amphitrite, who would become wife to Poseidon, and Thetis, the mother of Achilles by Peleus. The Nereids were traditionally perceived as being part of the retinue of Poseidon, but were thought to be present throughout the Mediterranean Sea, and were often helpful guides to sailors lost and in distress. The Nereid Galatea appears specifically in one myth; the tale of Acis and Galatea. The story of Acis and Galatea takes place upon the island of Sicily, where Acis was a mortal shepherd. Galatea had observed Acis, and had fallen in love with him, and the shepherd had subsequently fallen in love with Galatea. Sicily though, was also the home of the Cyclopes, and the most famous of the Cyclopes, Polyphemus, had himself fallen in love with Galatea. Polyphemus came up with a simple way of getting rid of his love rival, and simply picked up a boulder and crushed Acis beneath it. Galatea would mourn for her lost love, and the Nereid decided to create an eternal memorial to Acis. This Galatea did by creating the River Acis from the blood of the shepherd, a river that would flow around Mount Etna and into the Mediterranean Sea. Polyphemus would get some degree of comeuppance for his actions, when later Odysseus and his crew came to the island of the Cyclopes. 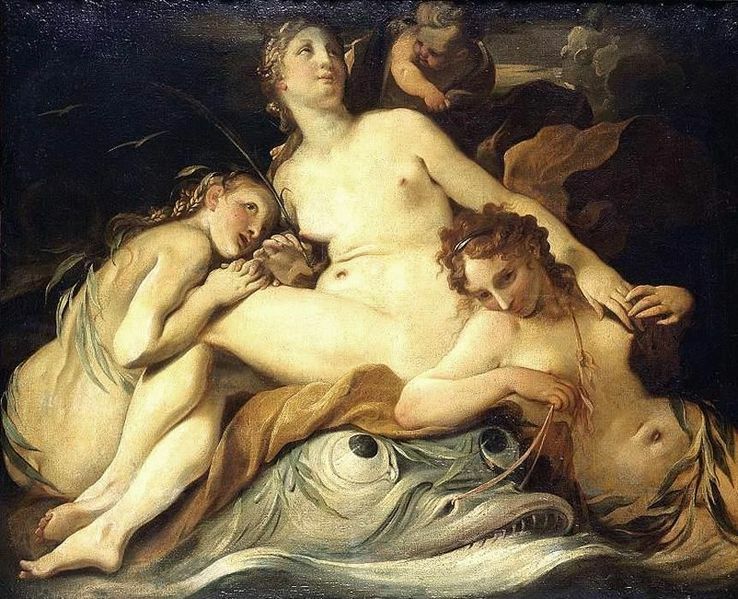 There are other versions to this tale of Galatea though, with some versions even having the Nereid enamoured by the attention of Polyphemus, with the Cyclopes described not as a thug, but as a sensitive inhabitant of Sicily, able to woo Galatea. It is correct that the name Galatea is associated with the statue crafted by Pygmalion, and subsequently brought to life, in antiquity the statue was never given a name, and was only called Galatea hundreds of years later during the Renaissance period, when the story was reinvigorated when it became a popular story for artists.